As many of you know my Mother-in-law (Barbara Payne) was in and out of the hospital several times before they diagnosed her with colon cancer late last year. In December she had colon cancer surgery. She recently started chemo two weeks ago and had a horrible reaction which has left her condition very critical. 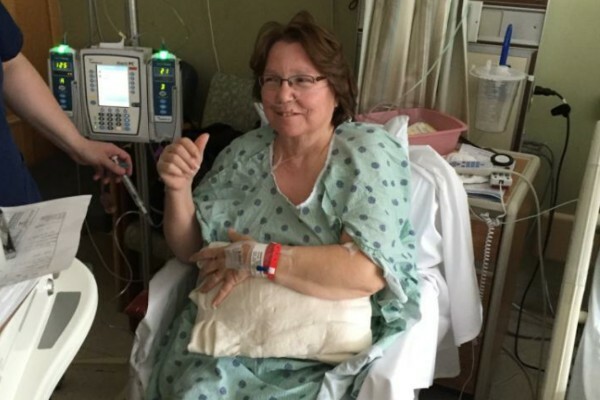 She has a long recovery ahead of her and her medical bills are far exceeding what her insurance will cover. I know the family would never ask for help so I am. Even if you don't donate, please keep her in your prayers. Today my Mother-in-law was moved to the ICU unit. She is still is not making any progress. They did find out that she has an enzyme defiency that made her body react to the chemo they gave her. Her Dr. has put in an order to have her transferred to U of M. She said they can not give her the level of care that she needs. Please keep her in your prayers! Nothing but prayers and positive thoughts sent to your family from Josh and I! Praying for complete & total healing! thinking of you and prayers sent that you feel better soon!